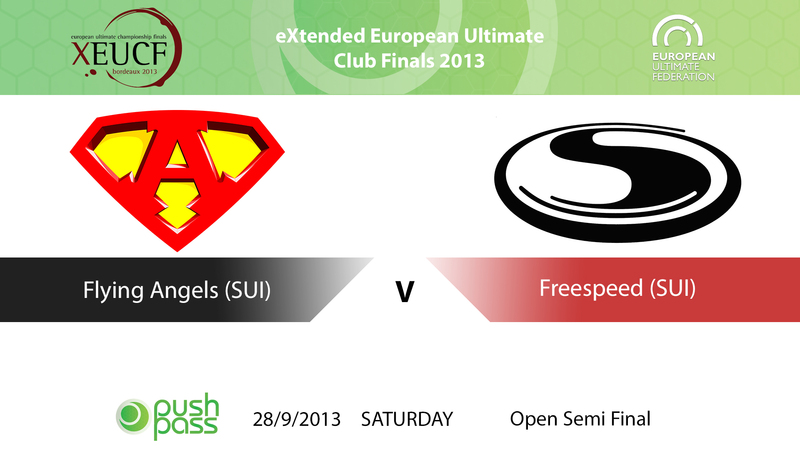 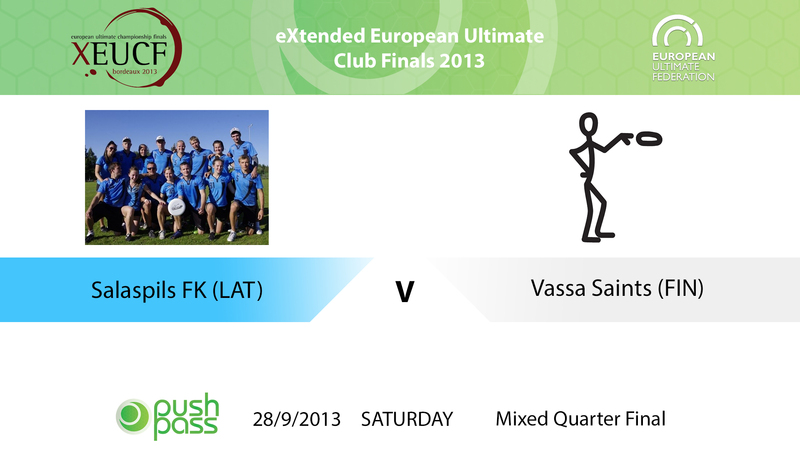 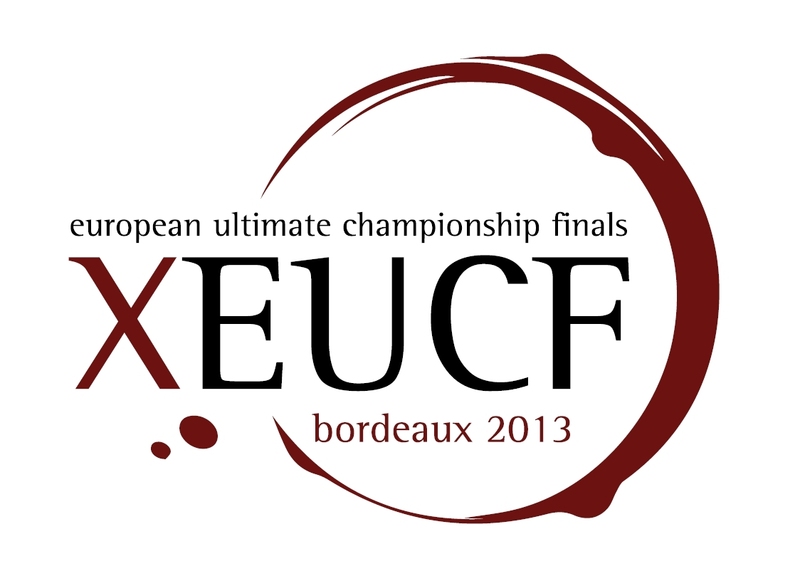 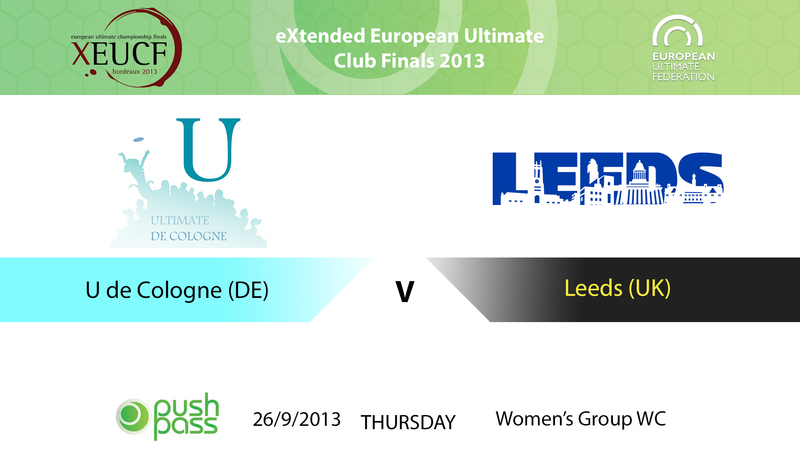 The eXtended European Ultimate Club Finals 2013 saw the best teams across all 4 divisions in Europe come together in Bordeaux to battle for the prestigious, once-every-four-years title of XEUCF Champions. 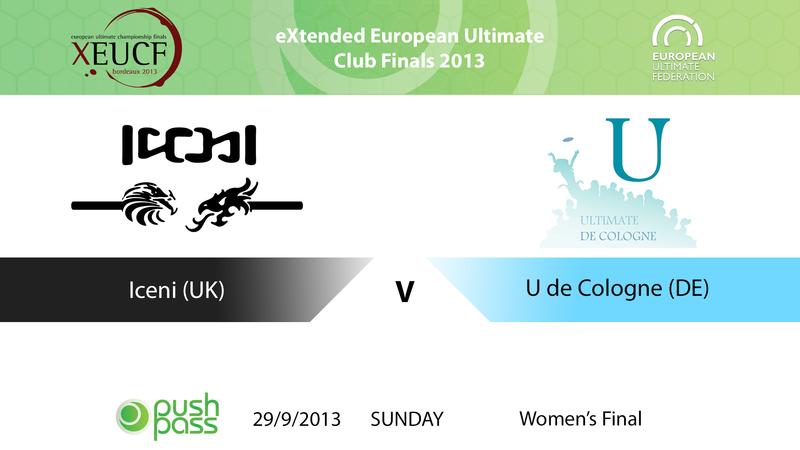 Push Pass filmed the teams competing in the Open, Women’s, Mixed and Masters divisions over the 4 day tournament showcasing the very top level of European Ultimate. 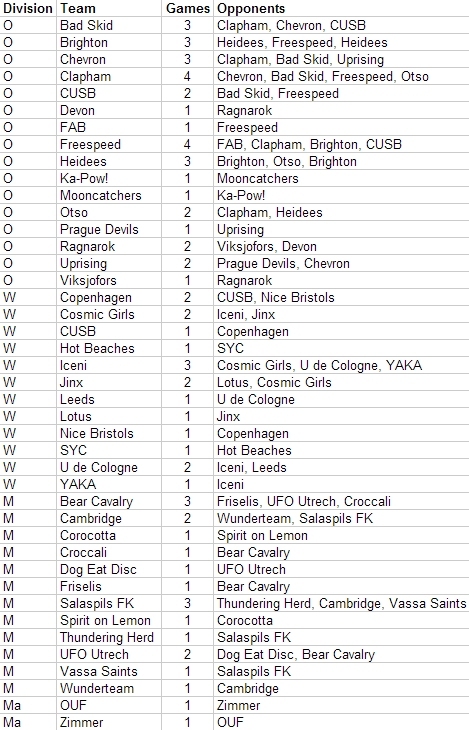 Check out the list of games covered, sorted by team/division. 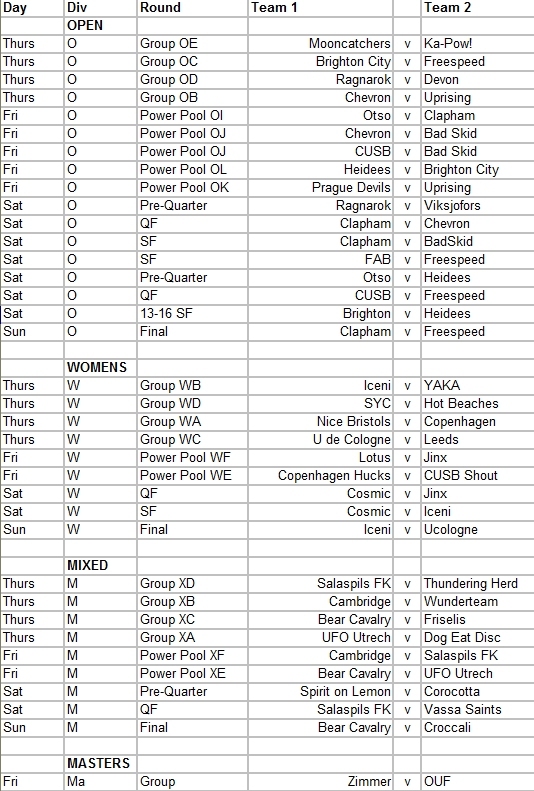 All games are filmed in full HD with scoreboards displayed throughout & alternate-angle replays during the finals, and will be available online until at least 1st Aug 2014. 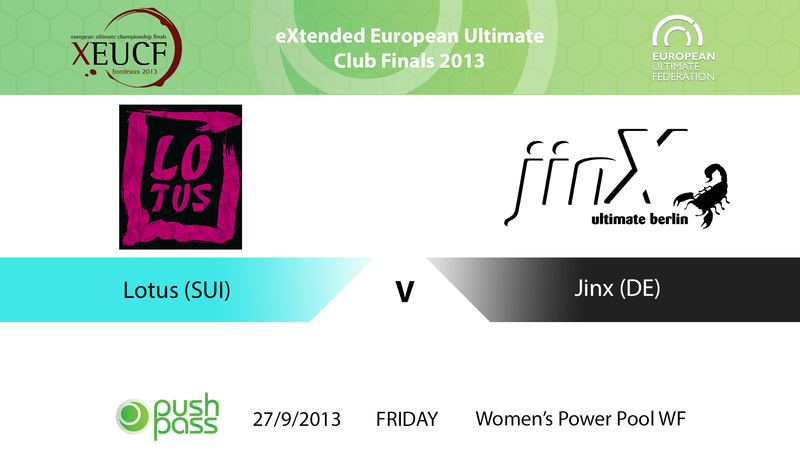 The Masters game Zimmer v OUF is included in all packages. 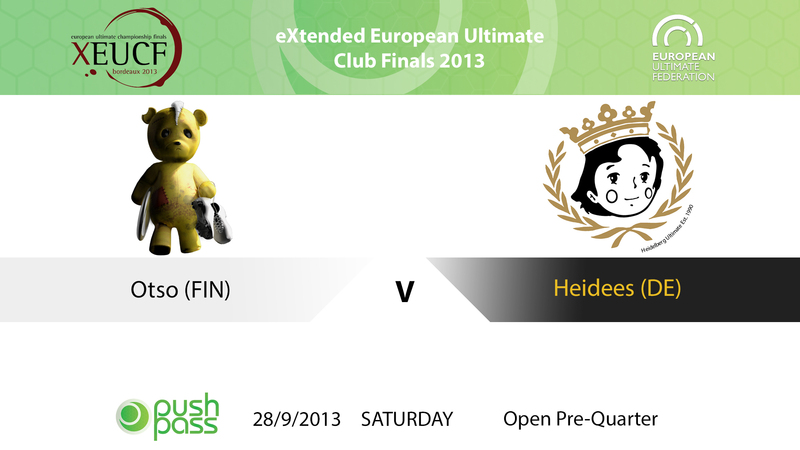 Bear Cavalry (UK) face Friselis (FR) in this Mixed Group XC game from Thursday in Bordeaux. 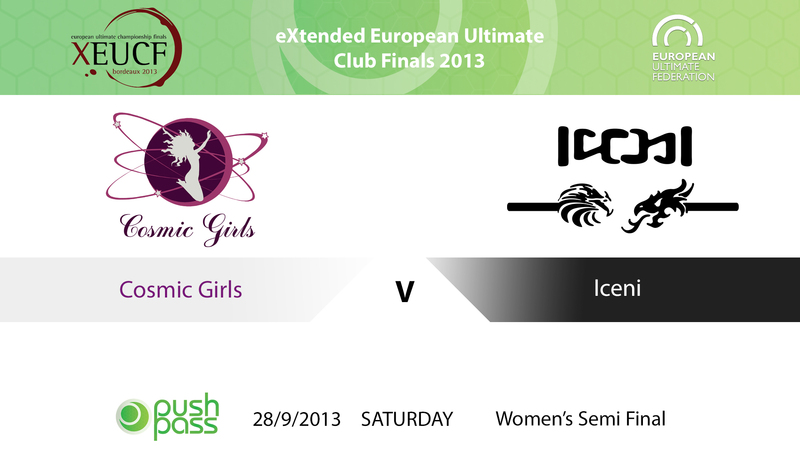 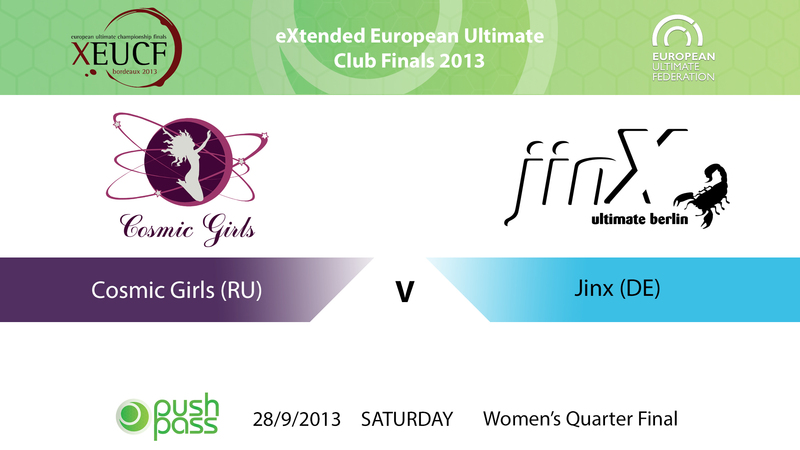 Cosmic Girls (RU) face Iceni (UK) in the Women's Semi Final on Saturday in Bordeaux, with a storm brewing in the background. 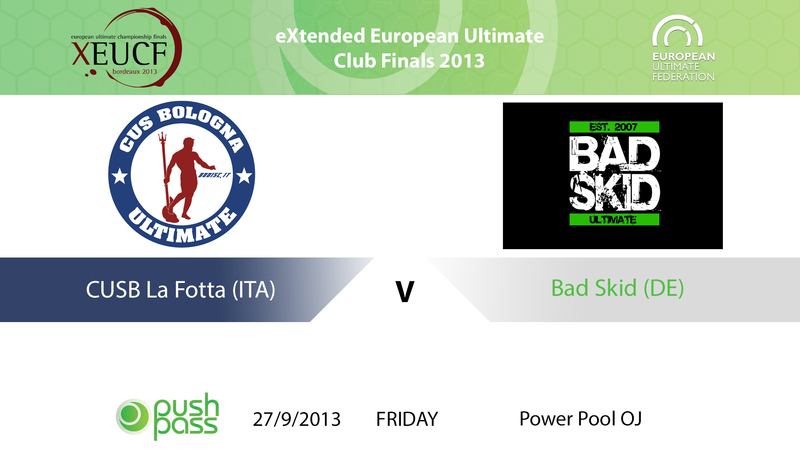 CUSB La Fotta (ITA) face Bad Skid (DE) in this game from Saturday's Power Pool OJ in Bordeaux. 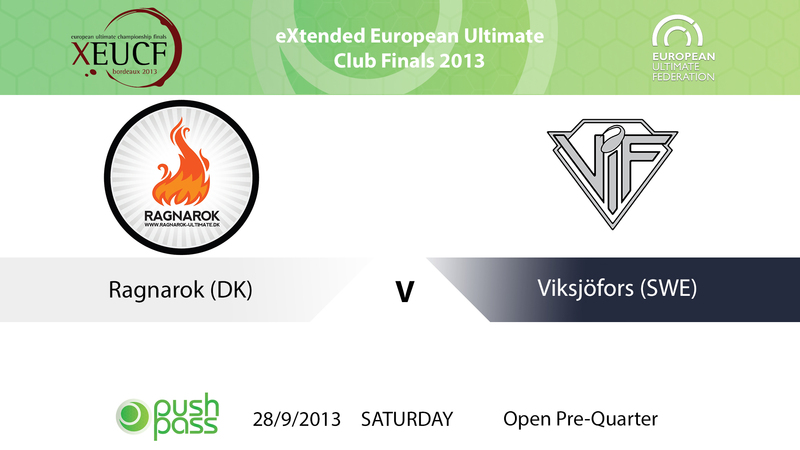 Ragnarok (DK) face Viksjofors (SWE) in this pre-quarter matchup from Bordeaux. 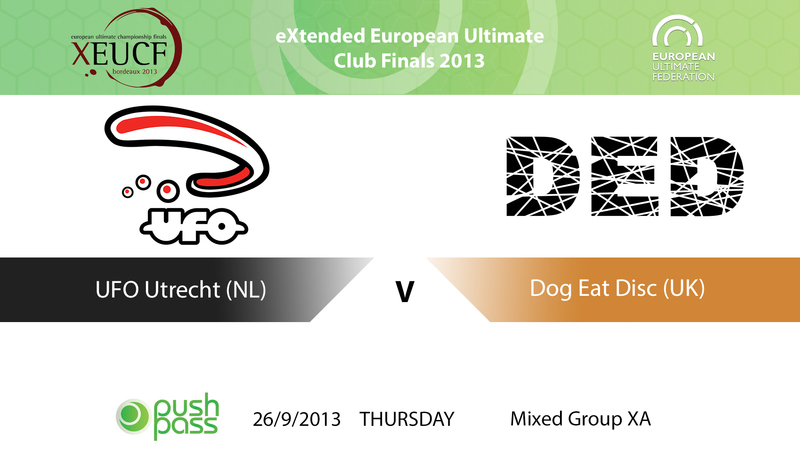 UFO Utrecht (NL) face Dog Eat Disc (UK) in this group match from Bordeaux. 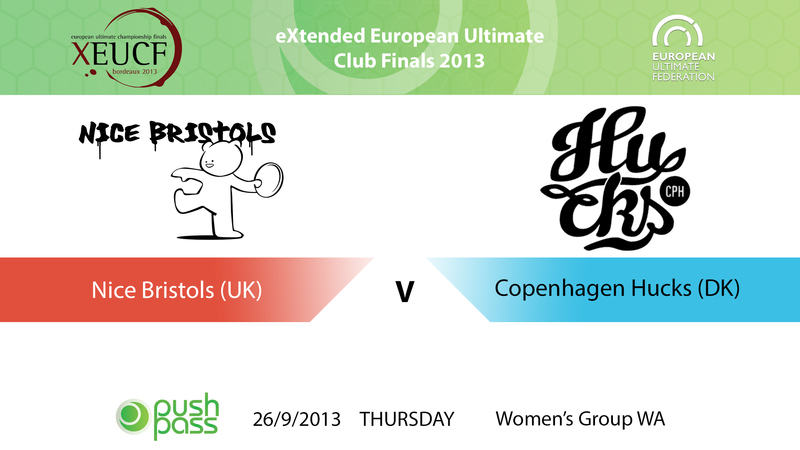 Heidees (DE) face Brighton City (UK) in this power pool matchup from Friday in Bordeaux. 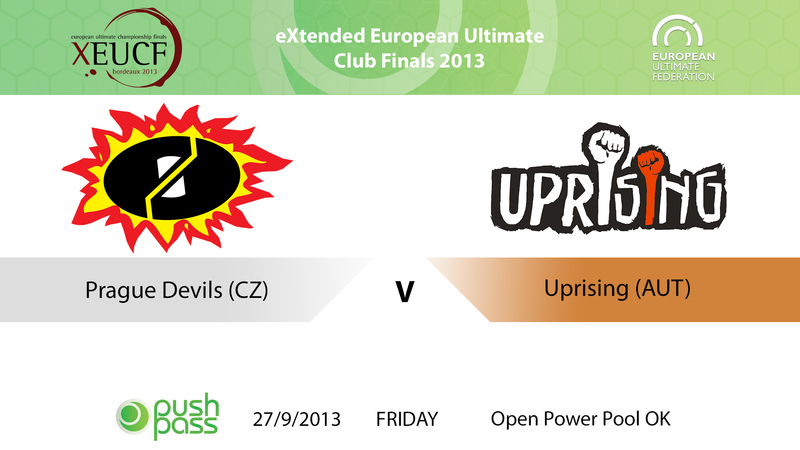 Copenhagen Hucks (DEN) face CUSB Shout (ITA) in this Power Pool game from Friday in Bordeaux. 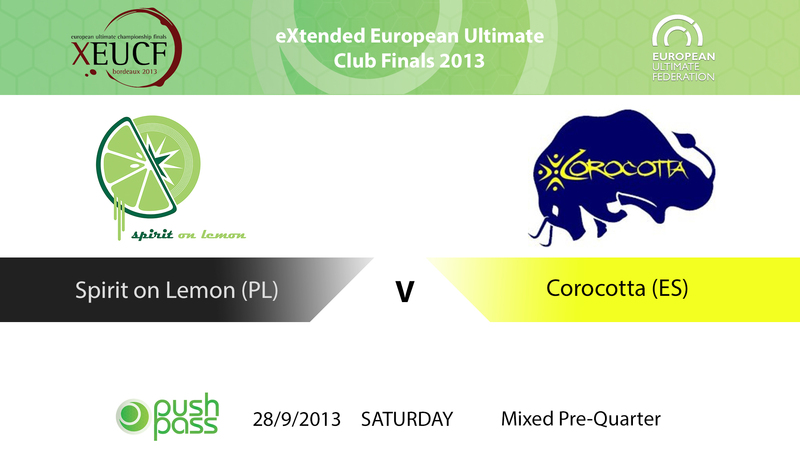 UFO Utrecht (NL) face Bear Cavalry (UK) in this Power Pool match from Bordeaux. 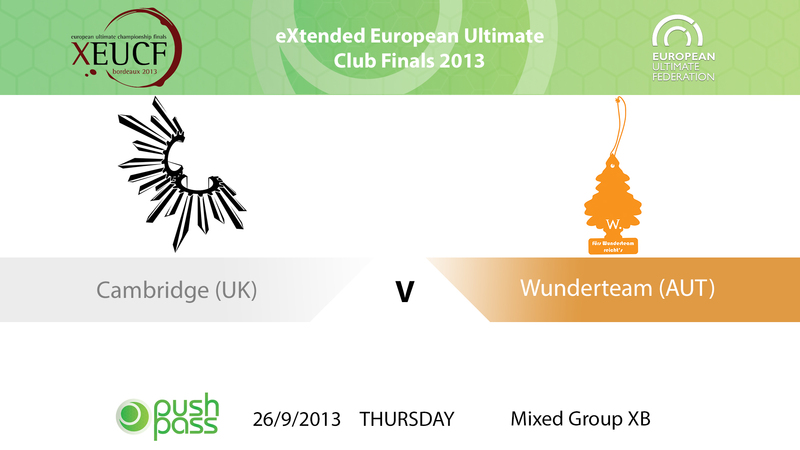 Cambridge (UK) face Wunderteam (AUT) in this Mixed Group game from Bordeaux. 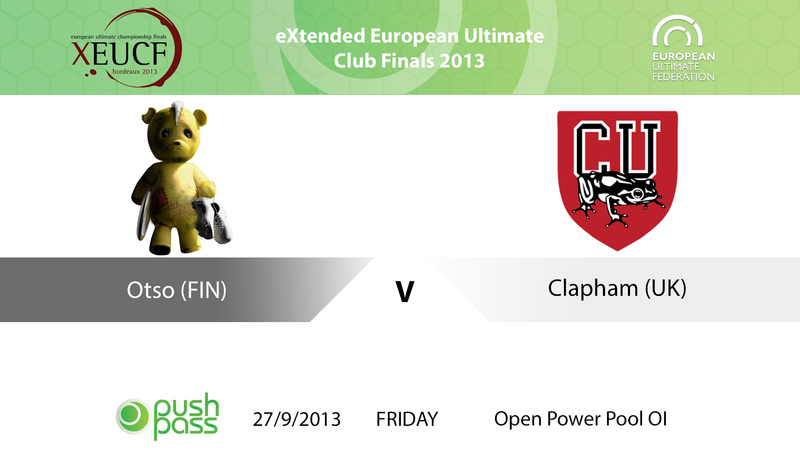 Otso (FIN) face reigning champions Clapham (UK) in this Power Pool match from the Open Division in Bordeaux. 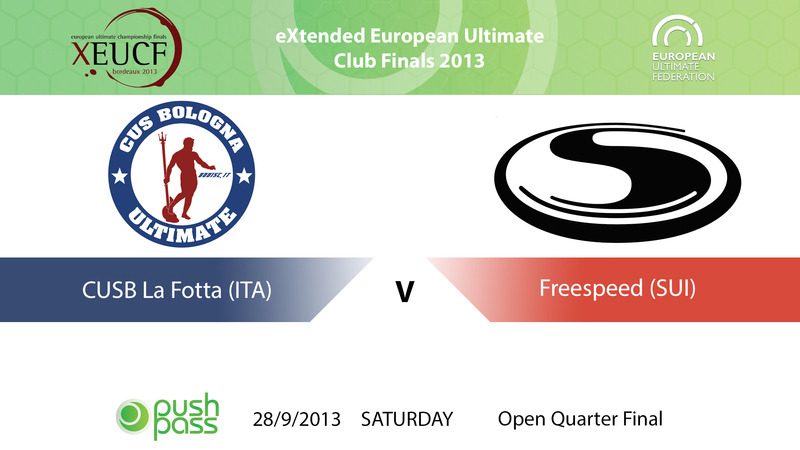 CUSB La Fotta (ITA) face Freespeed (SUI) in this Quarter Final from Bordeaux. 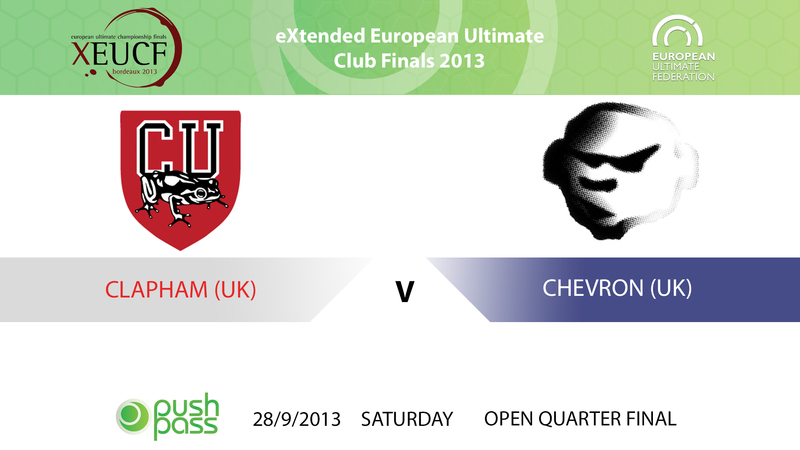 Footage starts from 2-2. 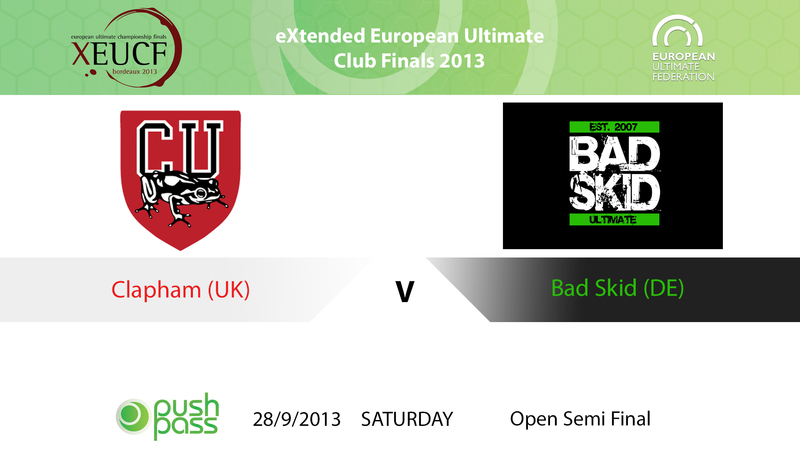 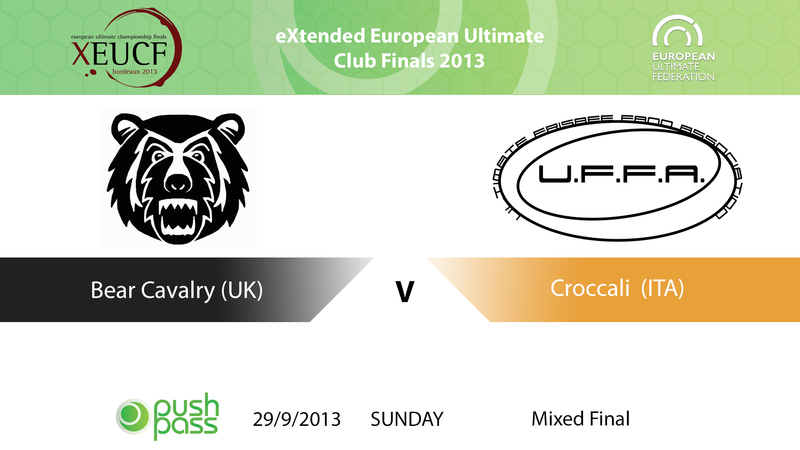 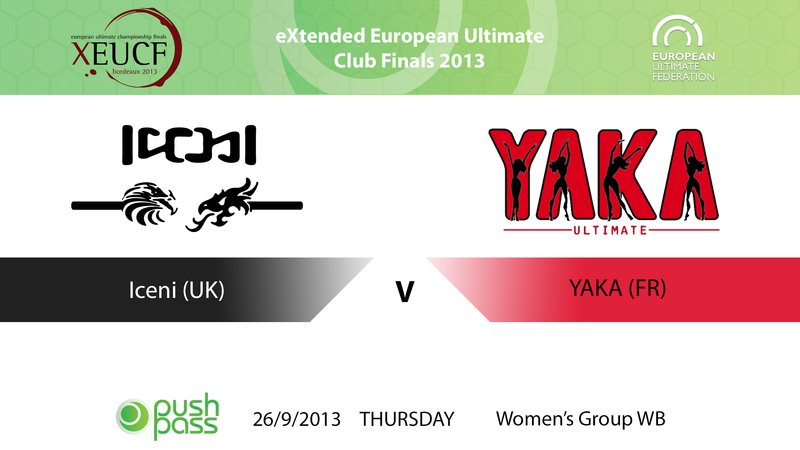 Bear Cavalry (UK) face Croccali (ITA) in the much awaited Mixed Final of XEUCF 2013, to determine the Mixed Champions! 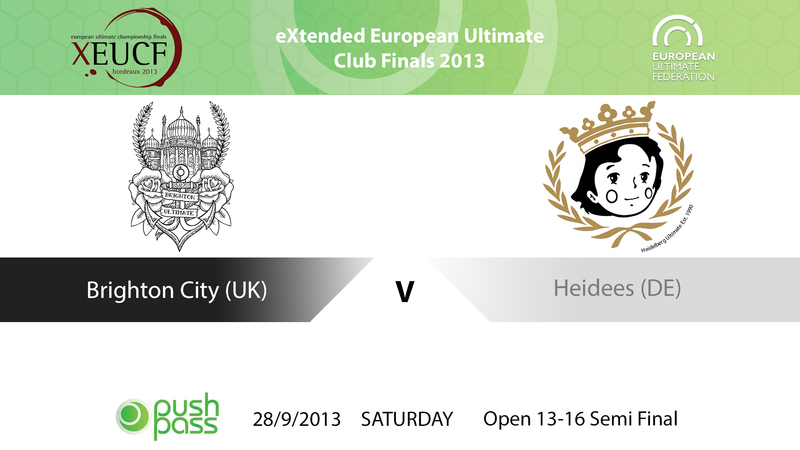 Brighton City (UK) face Heidees (DE) in their second match-up of the tournament, a 9-12 semi final. 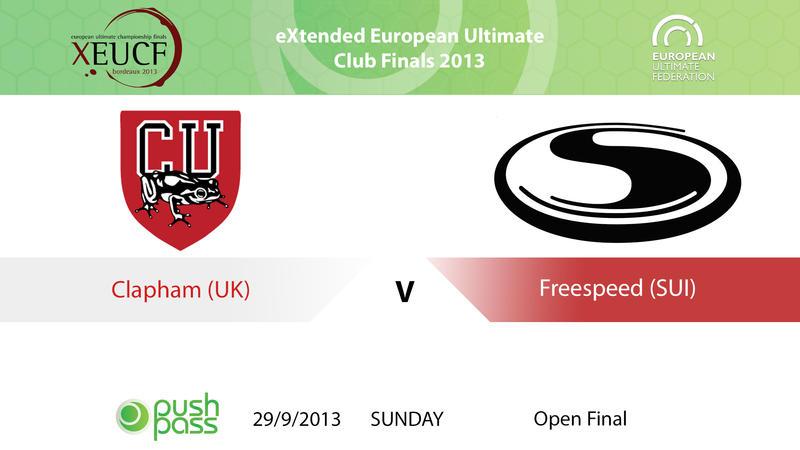 FAB face Freespeed in this all-Swiss matchup from the Open Semi Final of XEUCF 2013. 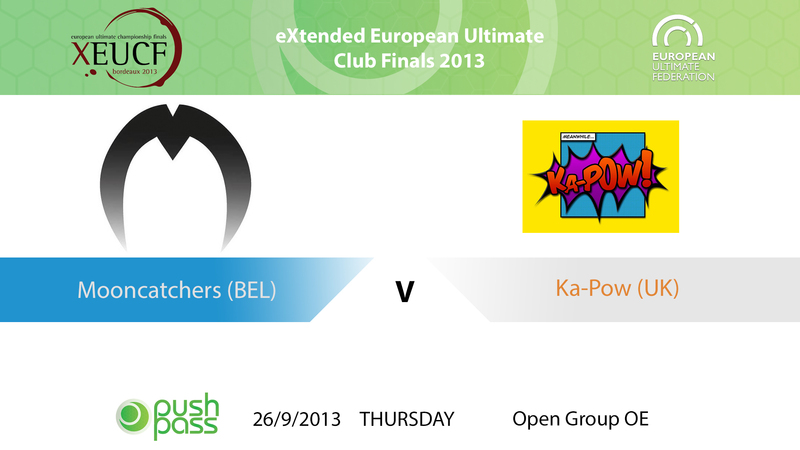 XEUCF 2013: Open - Mooncatchers v Ka-Pow!